Organization will be involved for total participants. Receive a $20 dollar discount on registration and $10 dollar discount on an annual NMONL membership. 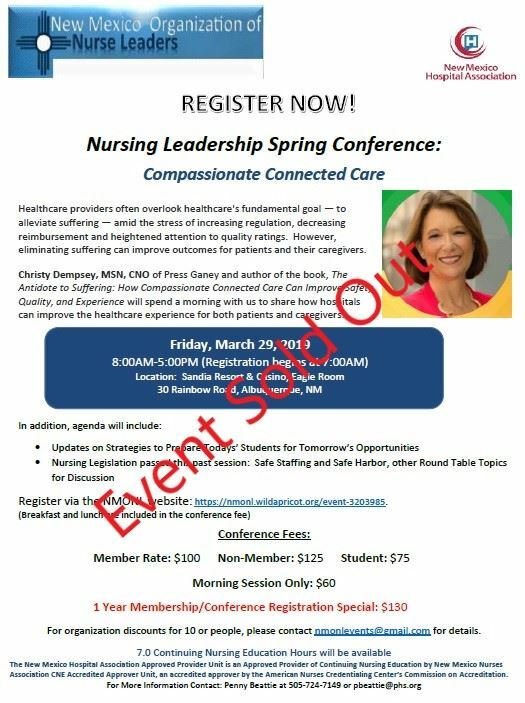 Registrations included with organizational sponsorship for the Spring Conference.